Starting immediately, the vast majority of students at Pennsylvania’s 14 community colleges may now be eligible for Supplemental Nutrition Assistance Program (SNAP) benefits. Pennsylvania’s Department of Human Services (DHS) have adapted SNAP guidelines to expand benefits eligibility to community college students struggling to pay for food. A 2016 study released by the Scholars Strategy Network found 2/3 of U.S. community college students are experiencing hunger and/or homelessness. SNAP is a vital program that helps people afford fresh, healthy food. Under federal guidelines, students at institutions of higher learning must be meeting a work requirement as part of SNAP eligibility requirements. Expanding eligibility to community college students comes after months of advocacy for this policy change by the state’s Income Maintenance Advisory Committee (IMAC). This committee comprises welfare recipients rights organizations (including Just Harvest) and Employment and Training specialists who advise the state on welfare policy. Louise Hayes of Community Legal Services of Philadelphia led IMAC’s work to change the rules for community college student eligibility. We’re thrilled that administrators at DHS obtained the most flexible implementation of a federal rule in order to greatly reduce hunger in this population. The new policy renders most income-eligible community college students exempt from the SNAP work requirement because their area of study is most likely similar to an employment and training program. Almost all majors at Community College of Allegheny County, for example, are either in an industry of need or meet the criteria of career or technical educational program. Students who take at least three classes at a community college now automatically meet SNAP’s work requirements rules. Those who are applying will need to have this form completed by a school official. Students at other colleges/universities can meet SNAP work rules by either being age 50 and over, having a medical condition, participating in a job training activity, caring for a dependent, working a Federal Work-study job, or working 20 hours a week. The rules changes were announced in a DHS OPS Memo on March 16. To find out more about SNAP eligibility, contact Just Harvest. 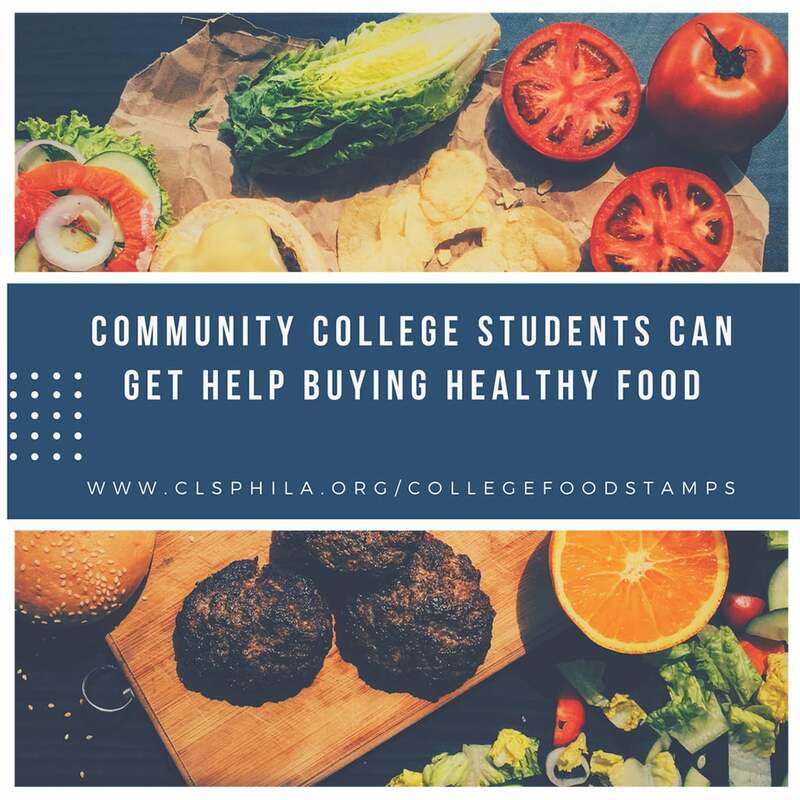 For more information on community college student SNAP eligibility in PA, visit clsphila.org/learn-about-issues/what-colleges-need-know-about-new-snap-rules-help-hungry-community-college.